I have listed the gemstones best suited for every moon sign under the Zodiac here. For the fiery Aries, the Coral gemstone brings good fortune to them. By wearing coral in any form, the Aries people receive the blessings of God. Coral also helps in reducing their temper. For the Taureans, Diamond is the best suited stone for them. Wearing diamond brings them happiness, luck and intensifies their charm. The gentle Cancerians should take to wearing Pearl in any form like rings, bracelets, or even as cuff-pins as they bring them peace, prosperity and happiness. For the magnificent Leos, Ruby is the charm that brings them enormous good luck and fortune. Emerald is the lucky gem stone for the quiet Virgos. This gem brings them luck and favourable prospects to their business or work. For the soft Librans, Diamond is their lucky gemstone. It brings them happiness luck and enhances their magnetic allure. For the intense Scorpios, Coral is the right gemstone for them. Wearing Coral brings them the blessings of God. It helps in reducing their anger and showers them with good luck. The Aquarians should take to wearing Blue Sapphire stones as they bring them good name, fortune and empowers their spiritual quest. For the Pisceans, Yellow Sapphire is their lucky gem stone. This stone is a deep yellow in colour. It brings them wealth and peace of mind. Why wearing gemstones is good for you? We ride the journey of our life on the wheels of our beliefs. Our beliefs like: “I can do this, I will achieve that and I will rise up in my life” make us go through our life. Each of us possesses unique goals, dreams and aspirations. A life without a dream is like a boat in a desert; No one wants a dry, meaningless life. We all have some aim or the other. Everyone wants to make their impression on this world in the time gap available between their birth and death. Rains and babies never arrive at the expected time, as the saying goes. The place, date, day and time a baby is born on this earth give the exact details required to create the natal chart of that person. The Moon sign is one of the most important characteristic of a person’s natal chart. It is determined by the constellation the Moon was in at the time of a person’s birth. For that person, the Ruler of that particular Moon sign determines the planetary period with which they start their journey of life. This has been so from the beginning of our culture and traditions. Whatever talents a man may possess, it is his victories in Life that mark his name for posterity. When nothing turns right for a person, it breaks him. When his health is not right, he runs to the doctor. Similarly, when his life is plagued with problems and loss, he remembers his natal chart. By looking at his birth chart, we can determine what planetary periods are occurring for that person. Does that planetary period bring him luck? How does it affect his life? When asking these questions, one comes to know about the gemstones. When a particular planetary position or period is weak, we can remedy that by wearing a particular gemstone to boost their strength and relieve the misery. This question arises naturally in the course. As science progresses, we have seen that focussed energy like sound, vibration and even laser can be created using crystals and gemstones like diamond. We now know how the Moon’s gravity affects our sea tides. Similarly, a time will come when science will accept the effect of the other planets on our complex brain waves which make up our thoughts, feelings and emotions. Wearing gem stones will focus a particular wave that will energise our thought processes and enervate us. Are there rules for wearing gemstones? There are strict rules which tell us the correct, exact way to wear gemstones. Many people wear the Navaratna ring or the nine-stone ring to benefit from all the stones. But that is not right at all. Some stones might work in disfavour of that person, due to some weak planetary alignments in his birth chart or some adverse planetary period. The final outcome is like jumping from the pan into the fire. Generally speaking, any gemstone weighing above one carat should only be worn. We can select the gems based on our current planetary periods, according to our birth chart. We can use the gemstone favoured by the Ruler (the ruling planet) of that particular period. This will alter the influence of that planet, lessening its worse impacts and increasing the favourable aspects of that planet. Some people refuse to spend money on doctors. Instead they ask the pharmacists for general tablets or act as quacks and self-diagnose. What is the usual result? The pain is gone temporarily and reappears again. These people could have saved time and money by going to the doctor in the first place, instead of wasting money on self-medication. Likewise, when times are rough, you can do better by consulting a good astrologist for remedies. The use of gemstones in astrology has been prevalent since the times of our ancient sages. There are detailed books that give information regarding the rules and theories of Gemology. The ancient sages have laid down detailed rules and had sectioned Astrology into various disciplines. Unlike what many claim, Astrology is an exact science; it combines maths and physics with complex calculations which befuddle many a mathematician. Only those who have grasped the intricate workings, the many derivations of the planetary positions can predict with exactitude. Like in any other field, there are a few brilliant astrologers and many mediocre ones who have just grazed the subject. The study of gems is present from the ancient times. The practise of wearing gems is as old as humanity itself. When you buy gemstones from conscientious astrologers, they will keep the required gemstones in pooja, increase their power and give them to you. These stones will bring you good fortune and tranquillity in life. When you buy gemstones on your own, ensure that the stones are genuine, good quality and free from disfigurement. Keep it in pooja at your home. Place the stone ornament immersed in a cup of milk overnight in the pooja room. The next day take it out during the auspicious hour and wear that ornament. When a maleficent planet is ruling your birth chart at that time, you must wear the stone favourable for that planet in your left hand to reduce its bad effects. When a beneficent planet is in rule, then wearing the gemstone favourable for that planet on your right hand will further multiply the benefits from that period. Similarly, wearing a stone that will fight and overcome the ill effects of a maleficent planet is also advised in the ancient books. For example, if a person is under the planetary period of the North Node (Rahu) and the North Node is maleficent for him, then he should wear Yellow Sapphire in the ring finger of his right hand. Yellow Sapphire is the stone of Lord Jupiter. Jupiter and North Node are enemies. By strengthening Lord Jupiter, the ill effects of the North Node can be lessened. Next, I will guide you through detailed information on the various stones, their ruling planets, how to wear that particular stone and who can it. The gemstone Ruby (manikkam in Tamil) is a naturally occurring red colour stone. Its colour ranges from the lighter shades of red, like pink to dark red. These stones come in two types: one type lets light pass through it while the other type is opaque to light. Ruby feels like velvet to touch, but it is the second hardest gem stone, next to diamond. 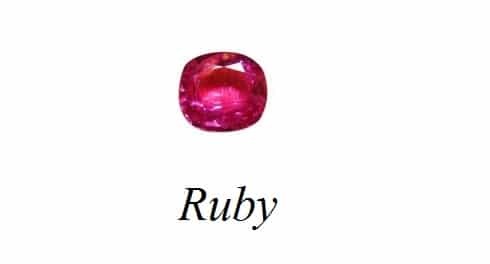 Ruby is one of the rarest gemstones, and it is difficult to set a fixed price to it. Due to its rarity, beauty and strength, its fame and allure is world renowned. The character or strength of a ruby is measured in carats, just like diamonds. Really flawless and authentic rubies cost more than diamonds. Rubies are generally available from the mines of Burma and Srilanka. High quality rubies shimmer pale in dim lights and glitter with a dark colour gorgeously under bright lights. In India, both medium quality and high grade rubies are mined. The low cost, mediocre rubies are called as Mysore rubies. They do not have the special glow associated with rubies. But, generally speaking, all stones mined from the Earth directly look like ordinary stones. Only after heavy polishing, cutting and treatment, do they acquire their celebrated glow and glitter. Chemically, the ruby is made of Aluminium trioxide. The rubies of the mineral class Corundum are high grade stones which have that fabled pigeon-blood red radiance. Some rubies have flaws like black spots, which cause problems to the wearer. Sometimes the flawed stones even cause death. When a person wearing ruby in his hand faces any problem, the colour of the ruby grows dim. It regains its sheen once the troubles go away. Rubies are associated with the Sun. The people born under the Moon sign Leo (Simha Rasi), which comes under the rule of the Sun God, people currently under the planetary period of the Sun in their Natal Charts, people born under the days 1, 10, 19 and 28 can wear rubies. The rubies focus the rays of the Sun and helps improving your immunity. The wearers of rubies can get some relief from heat related medical illnesses like fever, stomach problems, piles, heart issues and eye problems. The ruby should be worn encased in gold, but the stone should touch the body. This will bring good health, stronger will power, better friendly relationships, love and familial feelings to the wearer. It also strengthens the blood flow and the heart functions. Any depression, sadness and addictions can be reduced. Rubies bring their wearers mental toughness and strength. As the ruby is the representative stone of the Sun God, it can bring name and fame to the wearer, along with good positions in the society. It can also grant child boon for barren couples. When we cut open some rubies, we can see a star shaped structure with six points. This is very rare and is called as the star ruby. Rubies are precious, sturdy, timeless and rare. Rubies should be worn encased in gold with the stone touching the body in the ring finger. The rubies should be of 3 to 5 carats in weight. Those who cannot afford such heavy rubies can go for garnet stones. These stones are also red in colour, a bit darker than corals. Flawless garnet stones give similar benefits as rubies. The rubies or garnet rings should be first worn on Sundays during the auspicious hour of the Sun. The pearls are round, white in colour with a natural sheen. They are formed inside oysters. When a foreign particle enters an oyster, it irritates the oyster’s body which secretes a liquid which solidifies around the foreign particle. The seawater oysters are the ones capable of creating pearls. In India, Tuticorin is the place where maximum pearl diving can be seen. Pearls do come in slightly oblong and unnatural shapes. Of these the perfectly round ones are valued most. The most expensive pearls are called as Aani pearls. These pearls are bigger, stronger and glow with a strong luminous sheen. Generally, pearls can be classified as normal pearls and drop pearls, based on their shape and size. Half-round pearls are called as button pearls. Some pearls come in different colours like black, milky white, light red. When you hold a good pearl up in light, it shows a rainbow like lustre, called as sheen by researchers. The only stone in the world, whether naturally occurring or artificial, that requires no polishing of any kind is the pearl. All gems acquire their fabled glow and shine only after much cutting and polishing. 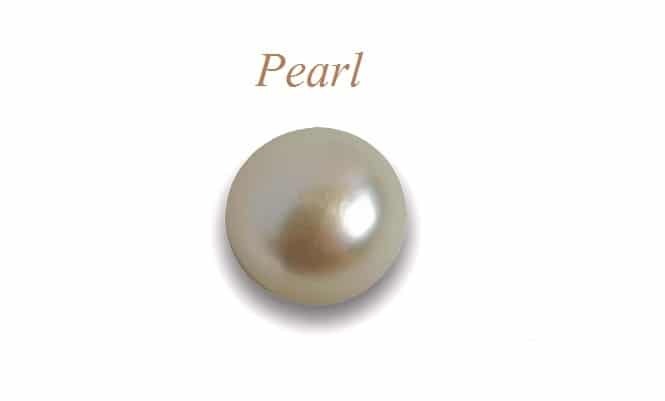 But the pearls have a naturally occurring sheen that requires no polishing to make it glow further. Instead of waiting for pearls to occur naturally, we can go for artificially seeded pearls. This technique is in vogue from the 1920’s. Most artificial pearls come from Japan and China. In India, we import pearls from Japan and China to Hyderabad. There, they are segregated according to size, lustre, shape and cost. Hence, these pearls get the name of Hyderabad pearls in our country. These artificial pearls come in almost the same expensive rates as the naturally occurring ones. But, some artificially crafted pearls do come in cheaper prices. The Hyderabad pearls can be worn as necklaces, earrings and finger rings. These pearls can be embedded in gold and silver and worn as ornaments. When worn as finger rings, these pearls should be worn on the middle or the ring finger of the hands. The weight of the pearl should be in the range of 2, 4, 6 or 9 carats. Among the nine astrological planets, the pearl comes under the influence of the Moon. Pearls divert the rays of the Moon and helps in maintaining the health of the body. Confusions of the mind also disappear. Any problems with the uterus for women also get remedied by wearing pearls. It has a positive effect on the fertility issues of women. The pearls cool down the body; bring mental peace and increases lustre and charm to the face. People born in the sign of Cancer, whose sign Lord is the Moon, people under the planetary period of the Moon, people affected by the Moon can wear pearls. By numerology, people born on the days 2, 11, 20 and 29 can wear pearls. Pearls do not lose their shine or weight for a very long time, even for a hundred years. After some 100 years, it will start losing its lustre and weight. Keeping the pearls enclosed in a cloth or cotton will help keep their natural radiance. Do not wash with soap water or other chemical which will erode their lustre. Instead of the expensive pearls you can go for Moonstone or Chandrakantha stone. It is slightly duller in colour, but has similar effects to that of the pearls. 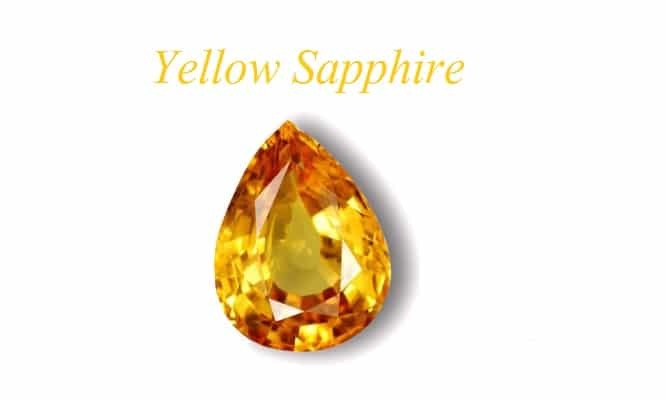 The yellow sapphire is called as kanaka Pushparagam in Tamil. Kanaka means gold. This stone is light yellow in colour and allows light to pass through. This stone is of moderate weight and belongs to the mineral family of Corundum. 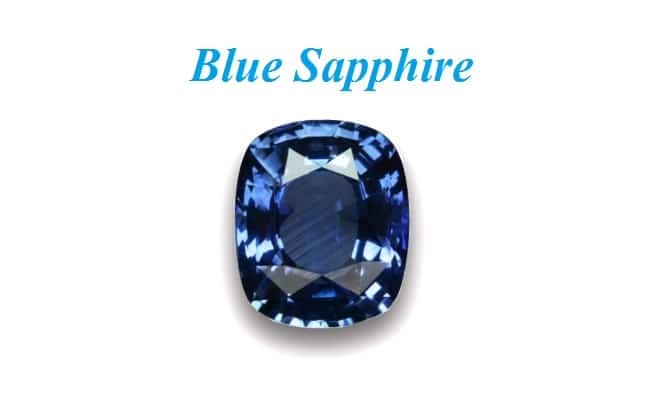 There are different varieties of the sapphire, like the blue sapphire, yellow sapphire and white sapphire. Naturally the sapphire is transparent to light and is colourless. Naturally imbued impurities impart colour to the stone; depending on the type of impurity, we get yellow or blue sapphire. When red impurities are present in the stone, it becomes ruby, while blue impurities make the blue sapphire stone, yellow impurities make the yellow sapphire. The white sapphire has no impurities and has a beautiful shine to it. The yellow sapphire (Topaz), with the yellow impurities has a beautiful gold like colour and sparkle brightly. Hence these stones are more expensive than the white ones. The jewellers determine their weight in carats. In India, these stones are mined in Tamilnadu and Orissa. Other countries like Australia and Srilanka are known for their sapphires. These stones are obtained in the river beds, where they lay with a normal pebble like appearance. Because of its hardness, this stone doesn’t lose its natural glow and weight even after prolonged use. Who Can Wear Yellow Sapphires (Topaz)? People born under the moon sign of Sagittarius and Pisces, people under the planetary period of Jupiter can wear Sapphires. According to numerology, people born in the days of 3, 12, 21 and 30 can wear these stones. Problems in jobs, childlessness can be remedied by using this stone. This stone controls the negative influence of Mars and acts as a remedy for Chevvai Dosham. It also acts as a cure for jaundice and other liver diseases. Like all other naturally occurring stones, sapphires too have their own unique vibration. This vibration is not found in artificially made sapphires. The sapphire absorbs the vibrations of Jupiter and imparts His blessings to the wearer. You can wear amethyst stones instead of expensive sapphires to obtain similar effects. White coral is suitable for people born on 3, 12, 21 and 30, according to numerology. Crystals like Topaz can also be worn. But as time goes, these crystals lose their glitter and weight, become opaque. You should wear yellow sapphires (Topaz) on Thursdays during the auspicious hour of Jupiter (Guru horai). The stone’s weight should be around 7 or 13 rathikkal and should touch your body. The yellow sapphire is a Nature’s gift to man. 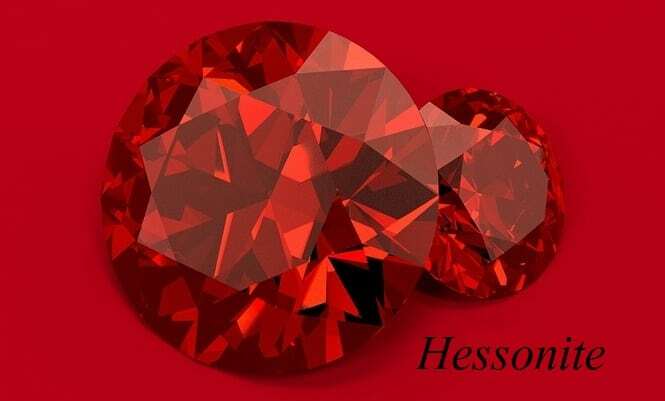 The hessonite stone is a naturally occurring stone. It is brown in colour with a mix of yellow. Some come in the colour of honey. The hessonite stones which come in smoky red colour are transparent to light. This stones which are rather soft, with a brilliant sparkle are the best hessonites. This stone belongs to the family of garnet stones. This stone is called as Gomurtham or cow’s urine in the ancient texts, probably due to its colour. The speciality of hessonite is the air bubbles present inside it, which resembles those in honey. When you wear flawless hessonite stones, they bestow you with victory even over your harshest enemies. It also endows you with good health and wealth. The shadow planet North Star or Rahu has no House of His own. The North Star behaves in accordance to the features of that House Lord. The Lord of the House at which the Rahu resides currently should be friendly with Rahu and He (the Ruler) should be in a friendly House too. Similarly people under the current planetary period of Rahu, people born under the stars of Thiruvadhirai, Swathi and Sadhayam, people born under the days of 4, 13, 22 and 31 can wear hessonite. Hessonite should be worn as ring, encased in silver or gold, touching the body. The hessonite stone is mined in countries like India, Burma and Srilanka. Stones mined in India are polished and sold in the country itself. When you wear hessonite, it protects you from skin problems like pimples, boils, body ache and accidents that occur while travelling. You will quit any unwanted addictions. Your speech will gain patience and prudence. Sometimes honey coloured zircon stones are sold off as hessonites. These stones are hard, flat, do not glitter and have some black streaks in them. Such stones are considered unlucky. As hessonite is rather inexpensive, there is no need for an alternative stone. But, we can wear the garnet stones which come under the number one in numerology, instead of hessonite. 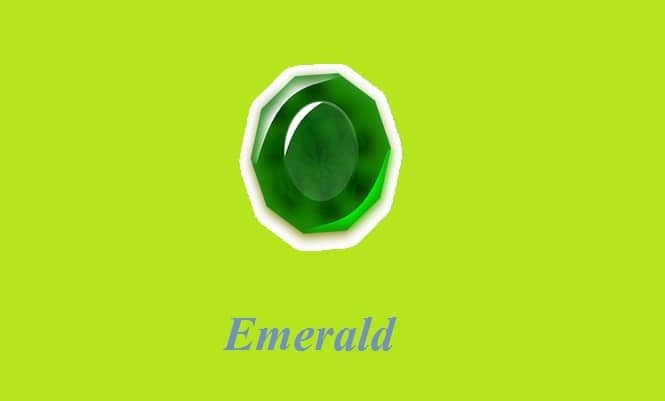 The Emerald, known as maragadam in Tamil is a beautiful green stone that is translucent to light. Its colour can vary from light green to dark leafy green. Chemically speaking, the emerald is constituted by Beryllium Aluminium Silicate. The emerald is not dense in structure; hence, this is a light weight stone. It breaks easily if mishandled; hence it needs good care. Even a one carat emerald stone looks big. Again, the stone is called an emerald only when it consists of Chromium as one of its chemical constituents. Otherwise, it is known as Beryl stone. When beryl is heated in the right conditions, it turns into Aquamarine stone, which is blue-green in colour. If the stone maintains its colour, then the aquamarine stone can be sold anywhere in the world. There is a wrong belief among people that an original emerald will smell of incense. Since the Madurai Meenakshi Amman idol is made of emerald, the temple authorities never let anyone create strong vibrations in its vicinity. People born under the moon sign of Gemini, Virgo can wear these stones. According to numerology, people born on the days 5, 14 and 23 can wear emerald. This stone can be worn as a ring encased in gold or silver, with the stone touching the body. This ring can be worn in the little finger or the ring finger. Wearing this stone on the auspicious day of Wednesday of any week, between the time of 6 to 7 a.m. is considered to be auspicious. Emerald bestows great strength of mind, along with cleverness, strategic thinking, and memory. It increases the good prospects in the field of academics and telecommunications. Medically, the emerald stone cures mouth sores, eye, ear and nose problems, mental problems, skin diseases, paralysis, cold and male infertility. First quality Emeralds can be found only in Columbia. Since the stones found at Columbia are rich in Chromium, they have the desired colour and quality. Though emeralds are mined in India, Brazil and Egypt, they are considered to be of inferior quality. When first mined from the earth, they are rather dull looking. Only after much polishing and cutting, do we get the brilliant glitter of the emeralds. Onyx stones are dark in colour and can be worn instead of emeralds. But they do not possess the same strength as emeralds. Diamond – the most famous stone in the world; the one stone that allures everyone with its sheer brilliant sparkle. It is also the hardest stone in the world. Only a diamond can cut a diamond. Lord Sukra is the reigning deity of this tone. Diamonds that are colourless, bluish or pinkish in colour, without any black marks in them are considered to be the most auspicious. Yellow or red diamonds bestow high positions in the government or politics. Diamonds give wealth and prosperity to their wearers. Sexually transmitted diseases, urinary infections, eye problems can be remedied by wearing diamonds. Couples wishing for a boy child can wear diamonds with a few black spots in them. Wearing diamond ensures protection against evil spirits and poisonous animals. The diamonds from the Kohinoor mines are world famous for their brilliance and quality. Now most diamonds come from the Kimberly mines of Africa. Diamonds are valued according to their colour, weight and clarity. They do not chafe or lose their weight even after prolonged use. This is one of the most moneyed businesses in the world. This business is controlled by the De Beers entity which has its headquarters at London. People born under the moon sign of Taurus and Libra, those under the current planetary period of Lord Venus or Shukra and those born on the days of 6, 15 and 24 can wear diamonds. These stones should be encased in gold or platinum and worn around the middle or ring finger. You can start wearing them on a Friday during the auspicious hour of the Venus. Any light passing through the diamonds undergo complete reflection inside it. Hence it is impossible to look through the diamonds. The Blue Jagger diamond is the most expensive type of diamond. It emits a bluish sparkle seen in the early morning rays of the sun. India has been exporting diamonds even before 2000 years back. Since almost all diamond mines in Kohinoor have been exhausted, they have detected some diamond veins in Orissa. To obtain a single carat (0.2 gram) of diamond, we have to process almost 30 tons of rock and mud. Since then it undergoes many cleaning, cutting and polishing processes. As the diamonds pass through so many hands before coming up for sale, they are one of the most expensive stones in the planet. Diamond tester equipment is now available to test the purity and original nature of the diamonds. These tests are possible due to the heat conducting capacity of the diamonds. White diamonds with shapes like island are considered to be inauspicious and bring misfortune to the wearer. 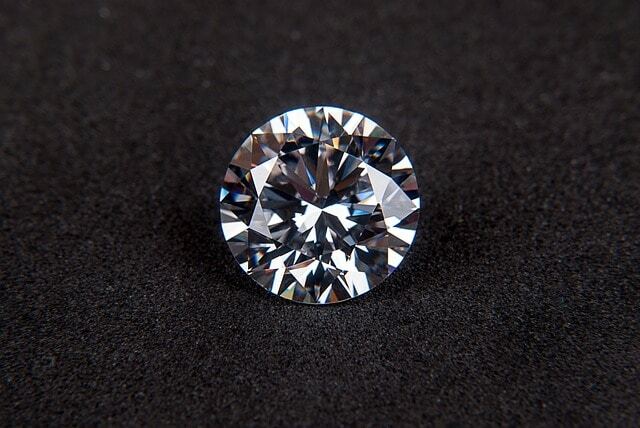 Zircon stones are cheaper alternatives for diamonds. They have almost the same brilliance and are hard stones. They are as effective as diamonds for remedies. Cat’s Eye stones come in a mix of green and brown colours. They also have a white streak running in the middle. Hence, these stones are called as Cat’s Eye as they look like it, when shaken up and down. Stones which are yellow in colour with a white streak are considered to be high quality Cat’s Eye stones. 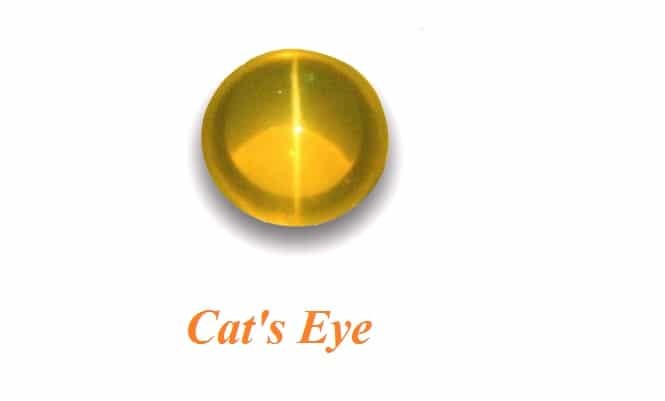 The Cats Eye is one of the most auspicious stones. They are fast acting and hence should be worn after careful consultation. Chemically speaking, they are made of Beryllium aluminate. They belong to the stone family CryzoBeryl. When the stone contains any additional white streak across, or when the stone is light green in colour, its price decreases. Of the different varieties available, the quartz type Cat’s Eye is remarkable. These stones are not the original Cats Eye stones. They come in lesser weight, with a mixed palette of brown and green. The stones which are brown in colour with a thread like streak are called as Tiger’s Eye (JiVeeReeMeeKsheeNeeHeeMee). Those black in colour are called as Bull’s Eye (NiReeReeNiHiMee). A flawless Cat’s Eye’s beauty is the streak of white which looks like lightning. In other stones like the Tiger’s Eye and Bull’s Eye this feature is absent. The Cat’s Eye stones mined from Kerala in our country are considered to be the most expensive. Cheaper ones can be got from Orissa. These stones are available in Brazil, Srilanka and America. Wearing these stones brings good luck and prosperity and child boon for barren couples. Lost wealth can be regained. Your blood pressure will come under control. This stone increases your spiritual inclining, reduces suicidal thoughts and refreshes the spirit. Who can wear Cat’s Eye? This stone should be worn enclosed in gold in the pointer finger or the ring finger. People with Kala Sarpa dosham, people under the planetary period of Ketu or the South Star can wear Cat’s Eye. People born under the moon stars Ashwini, Moolam, and Magam, people born under the days of 7, 16 and 25 can wear this stone. Dots, craters, dull colours in Cat’s Eye bring misfortune and pain to the wearer. Hence you should be careful before buying any stone. Opal is the alternative for Cat’s Eye. Opal is especially good for number 7 people according to numerology. Though this stone comes in various shades, white is considered optimal. Blue Sapphire is structurally different from the Yellow Sapphire, as it is made of Aluminium trioxide. The element Titanium gives the stone the signature blue colour. More the Titanium, the darker is the blue. Earlier, we used to get high quality blue sapphire stones in Kashmir. Now, the mines have been exhausted. These stones are now mined in countries like Thailand, Srilanka, Kenya, Tanzania, America and Australia. Since this stone is hard in structure, this stone doesn’t lose its lustre. Light blue stones are chemically treated with blue colour to make them darker. Those stones are called as Bangkok blue stones. Blue Sapphires stones which are heavy and flawless are high quality stones. Flawless, high quality stones are mined in Burma and Kashmir. These stones are most attractive in appearance and are highly favoured. Blue sapphire protects the wearer from unwanted attention, jealousy and competition. It brings mental peace, enables pleasant, harmless travelling. The completely flawless stones called as Indira Stones bring immense wealth, name and fame to the wearer. The blue planet Saturn is the reigning deity of blue sapphire. Those under the influence of Saturn like Sade SATI, 71/2 Shani, Ashtama Sani, people born under the moon sign of Capricorn, Aquarius, people born under the days 8, 17, and 26 can wear blue sapphire. Medically, people suffering from paralysis, Parkinson’s disease, bone issues, teeth problems, cold, mental illness, tiredness and lethargy should wear blue sapphire to remedy their illnesses. Blue Sapphire should be worn embedded in silver. The stone should touch the body in the middle finger or ring finger. You should start wearing this stone on a Saturday. Wearing this stone removes the ill effects of Saturn and concentrates the good effects of Saturn. Aquamarine stones can be worn instead of blue sapphire. This stone is lighter in colour and looks quite beautiful. Only those under the ill influence of Saturn should wear this stone only during those periods. Others should not wear it for decorator purposes. Benefits of gemstonesgemstonesHow to wear gemstoneslucky gemstonesRules for wearing gemstonesWho can wear the gemstones?